A Markham sump pump is a critical device in any home and should not be taken for granted. They are perhaps the last line of defense against major water damage and floods. Do not take unnecessary risks because it is very costly both financially and emotionally to repair water and mold damage. Unfortunately, there is no coming back from this fully when it comes to damaged sentimental belongings and valuables. And while sump pumps will fail eventually because all mechanical devices will at some point in time you can extend the life of the device tremendously with a bit of due diligence and ongoing maintenance. If you need professional assistance with your Markham sump pump our expert local plumber can help you in no time at all. We are local and have provided plumbing services in the city for more than twenty-six years with many happy customers in the area. There are no jobs we cannot handle big or small. If you need your sump pump installed, repaired, or maintained to ensure it will last as long as possible you can depend on us. Our prices are flat-rate and affordable so you will know in advance what the final cost is and you will receive the same price whether you need us on a Monday, Saturday night, or even Christmas day. You professional Markham sump pump service is only a phone call away. Have your sump pump maintained yearly or more for a reliable device anytime you need it. It should be more often if there is a higher water table, or more snow melt and drainage than is typical, or perhaps it is simply a wet year. Keep in mind that you maintain your sump pump every few months during a dry spell in order to ensure it is in good condition when the weather turns. There is no sense in having a sump pump if it is not going to work to keep your family safe and your home dry. Call our local plumbers 24/7 for professional help and friendly service anytime. Markham sump pumps collect water in the basin and the float arm and switch trip the pump on which pushes the water through the discharge line out into the storm drain. Our local plumber can maintain your existing sump pump and make certain all the parts including the impeller, check valve, float arm, float switch, basin, pump, discharge pipe, vents, and air holes are all cleaned, repaired, or replaced so you don't have to worry about it. Have the peace of mind knowing that your sump pump Markham is functionally optimally at all times. Call our local plumbers for help 24/7. 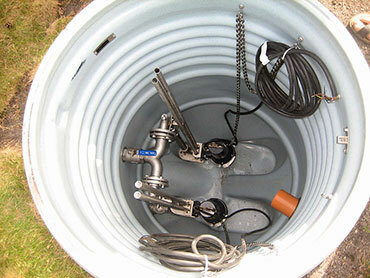 You may have a new Markham sump pump to install and that is no problem for our local plumbers. We will ensure that the pit is dug in your basement to hold your unit in place without setting it on dirt or gravel. 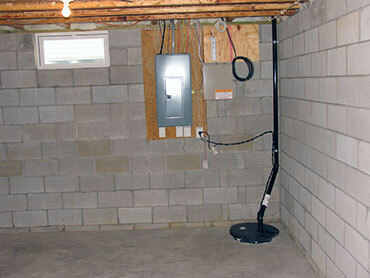 We will make sure that the sump pump is not defective and also make sure it is the right size pump. There will be checks of all parts and we will determine the discharge line is the right size with no worries of an electrical outage or a power surge.